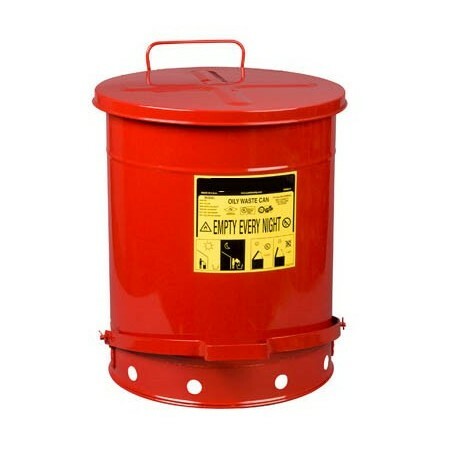 Provide safe, temporary disposal of flammable soaked rags or waste materials with an OILY WASTE SAFETY CAN. Hinged, self-closing, full width cover is snug fitting to guard against spontaneous combustion. Quickly opens to 60 angle with slight pressure on full width foot treadle. Cover closes automatically when foot is removed. Shape provides stability plus maximum capacity in minimum floor space. Ventilating air holes in raised bottom. Terneplate construction, lap-joined at all seams. 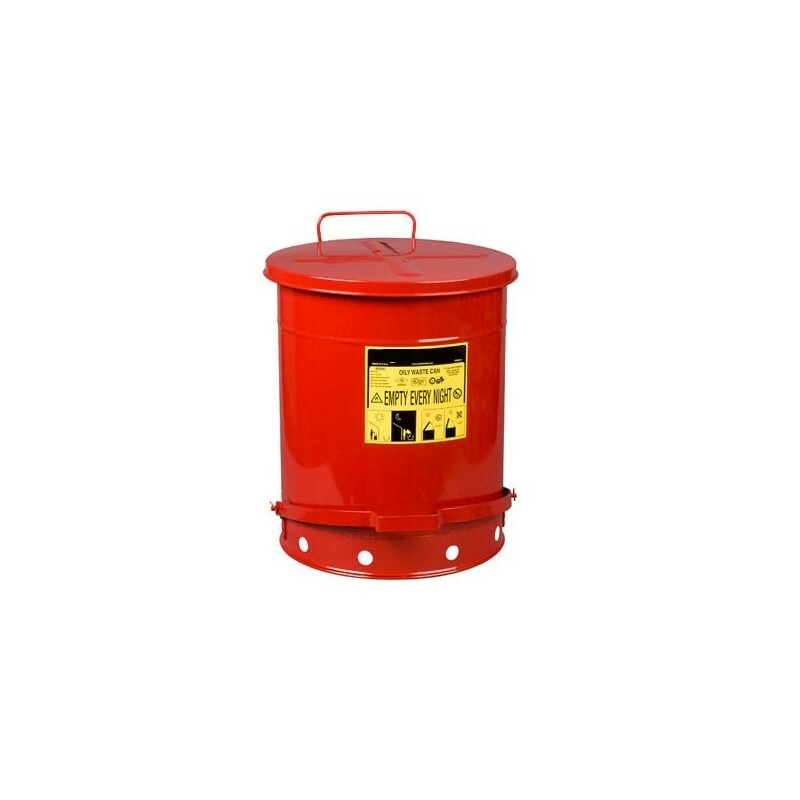 **Also available in rugged non-metal High Density Polyethylene construction. Please enquire if you do not see the Poly size you require. 14 GALLON - 161/16 x 201/4"
6 GALLON - 143/4 x 111/4"
6 GALLON - 161/2 x 131/2" x 16"
8 GALLON - 151/2 x 13"
10 GALLON - 173/4 x 13"